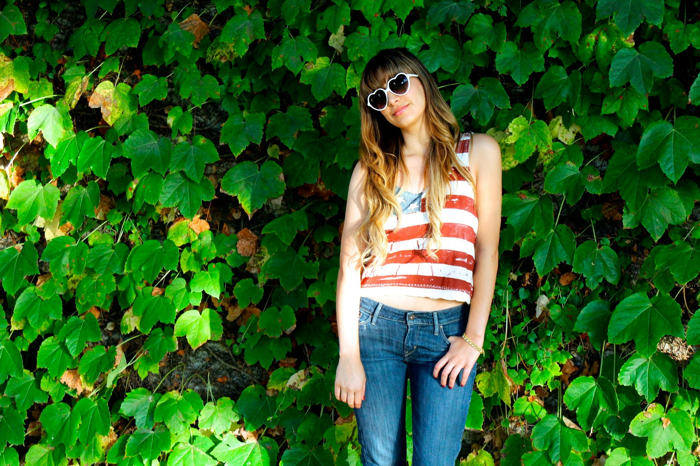 So, in true Americana spirit, I felt it only appropriate to don my Brandy Melville flag crop top. I'm obsessed with Brandy Melville, and always feel like the store somehow was able to find my deepest fashion desires and realize them through their merchandise. We're madly in love. Of course, what's more Americana than Levi's and Converse high tops? I feel young, fresh, and free whenever I wear this casual combination, and that is a winning triad of feelings to gain from an outfit! I love these sunglasses. You can't be unhappy when you're wearing heart shaped sunnies. It's kind of a rule. Really. I found these glasses at a little booth on campus one day for $5, so of course, how could I resist!? Anyways, I know Election Day can sometimes be a tense one, but in wake of the more implicit happenings in our country, I find it a lovely occasion to come together. 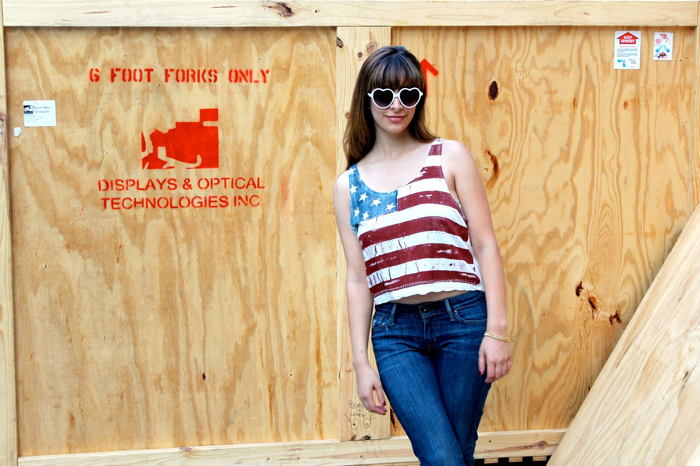 Let's remind ourselves, through fashion ;) and any other way, that we're all Americans and it is because of how deeply proud we are of that fact that we care so greatly about our nation and its people! So, my fellow Americans (and anyone else reading my inane ramblings, lol), it is with great love and pride that I wrap up this post. See y'all on the flip side, I'm off to do a bit of reading and delve into some froyo! !